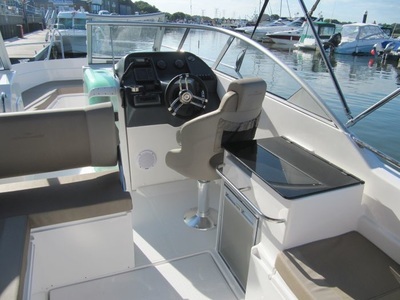 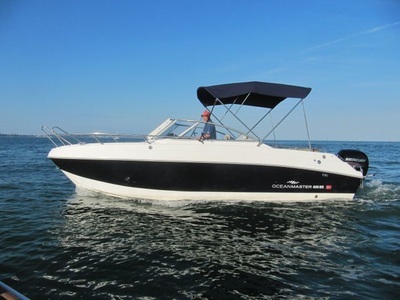 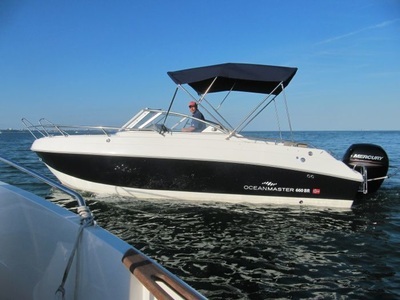 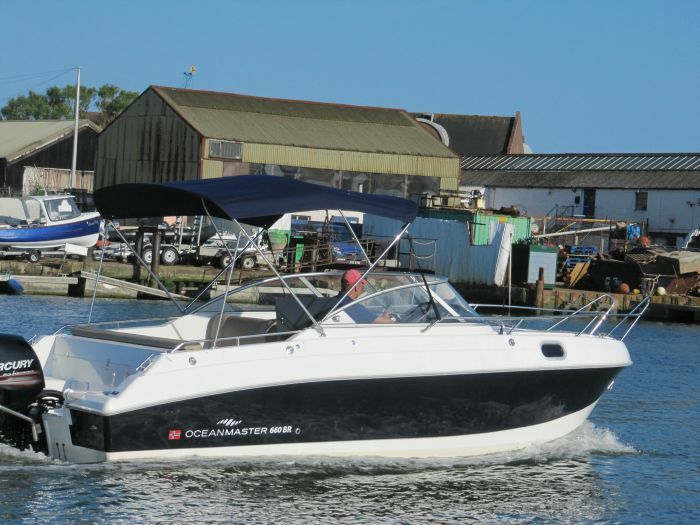 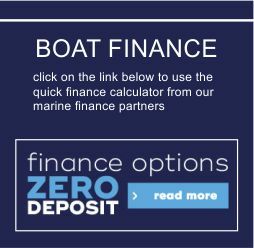 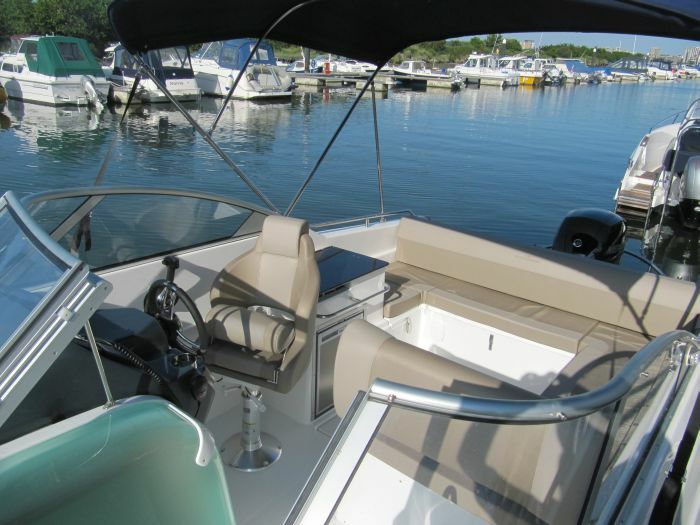 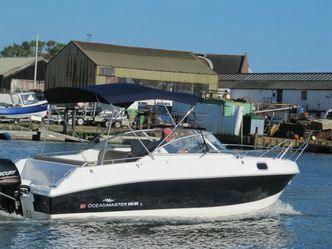 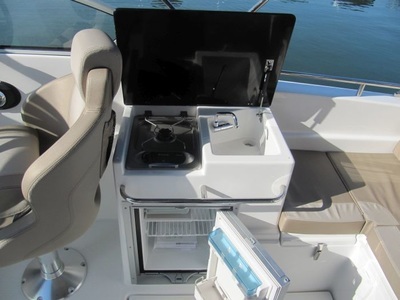 ﻿﻿2014 Oceanmaster 660 Bow Rider with 150HP Mercury four stroke outboard, 1 owner from new, very low hours. 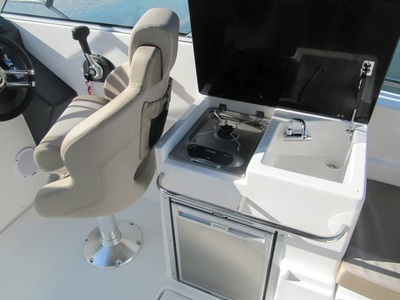 Complete with full wet bar including sink, fridge and stove, concealed marine toilet in cabin, cabin sleeps two children, teak table, full sundeck with diamante tan upholstery. 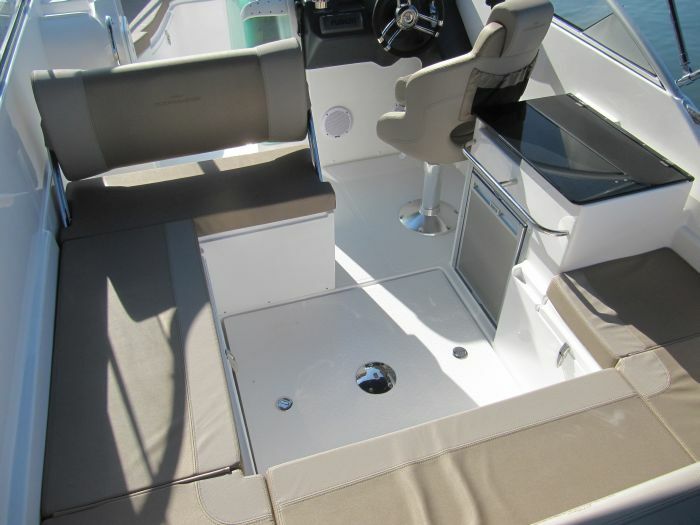 Tonneau cover and Bimini top. 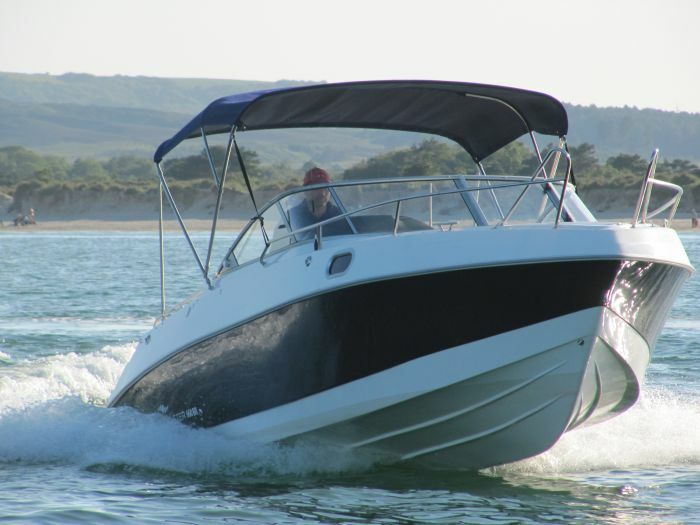 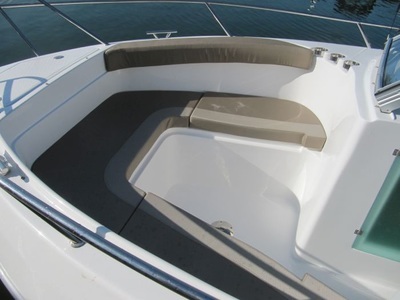 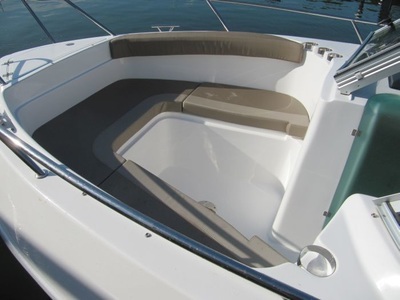 The stylish and safe high freeboard of the cockpit area offers protection from the elements and plenty of space, whilst the offshore performance hull gives a soft and safe ride even in relatively rough seas. 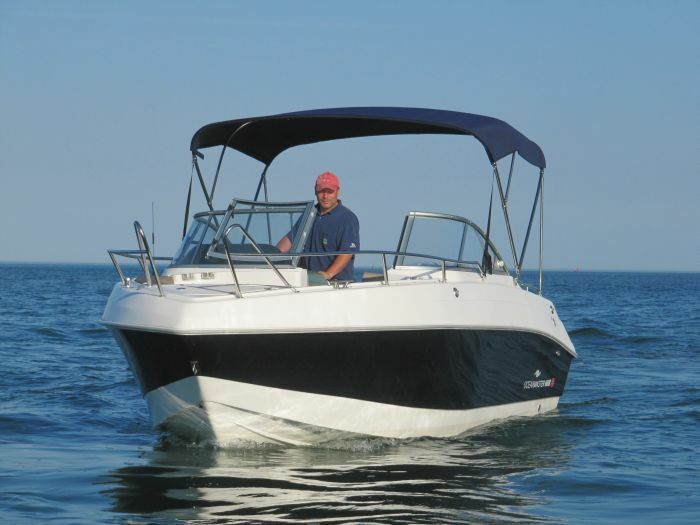 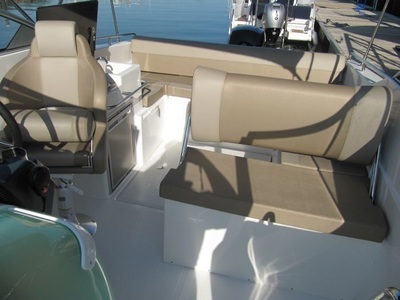 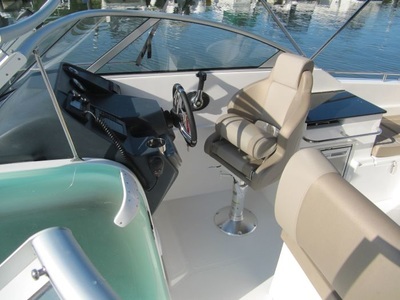 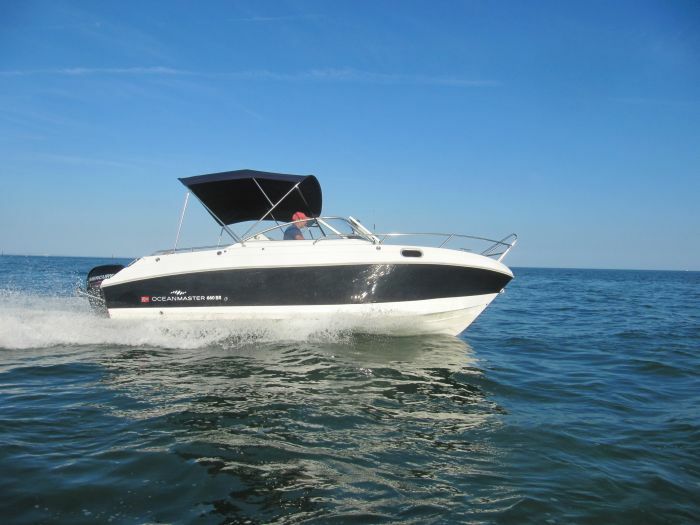 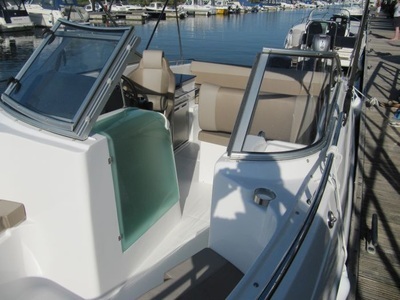 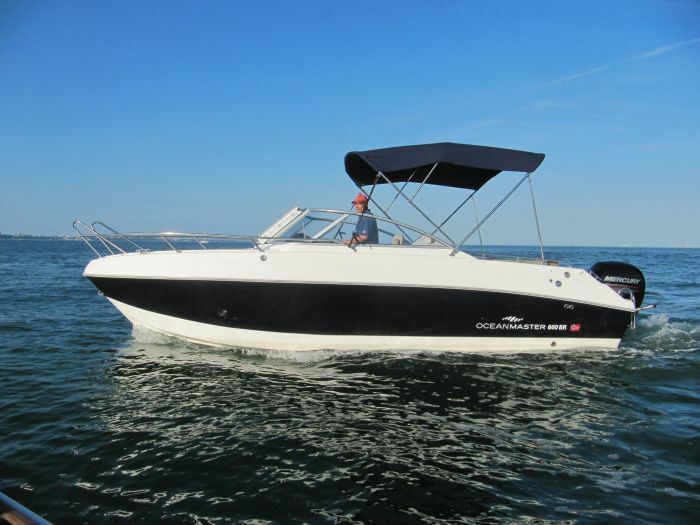 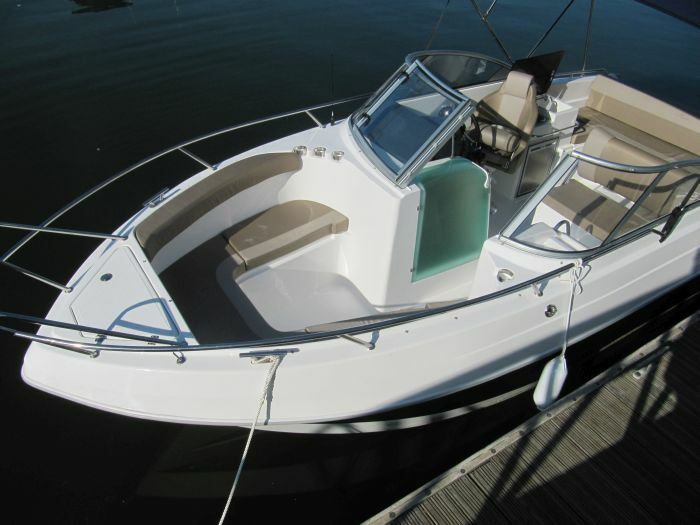 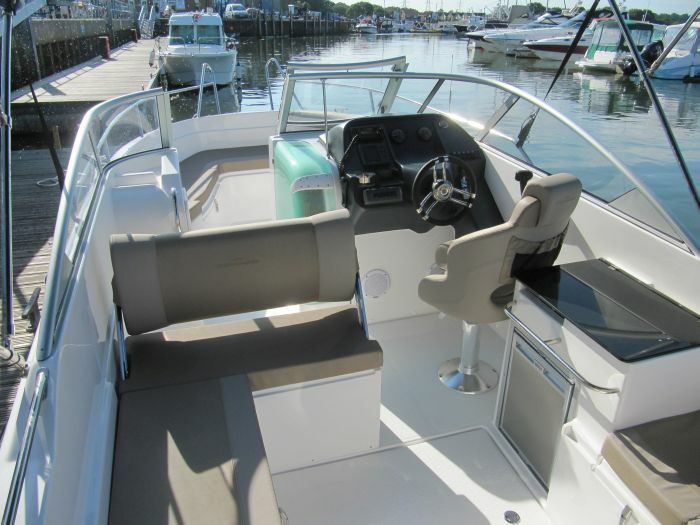 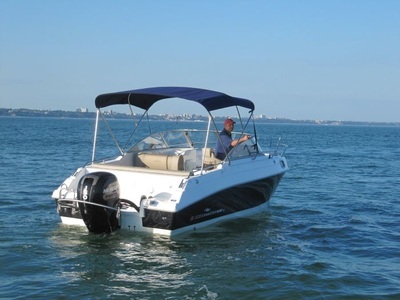 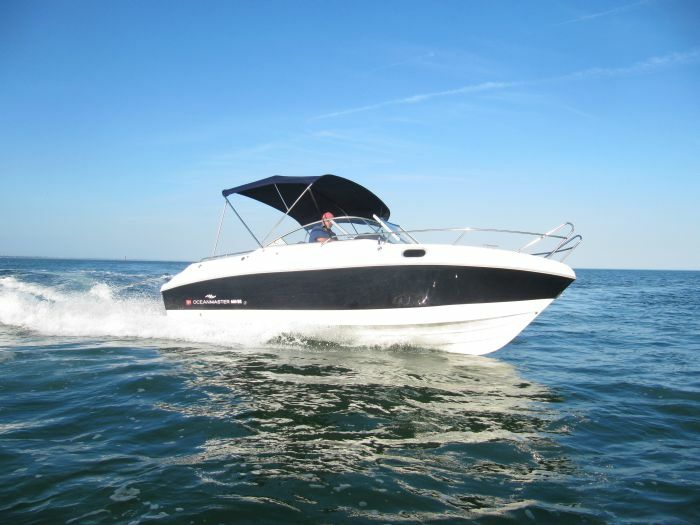 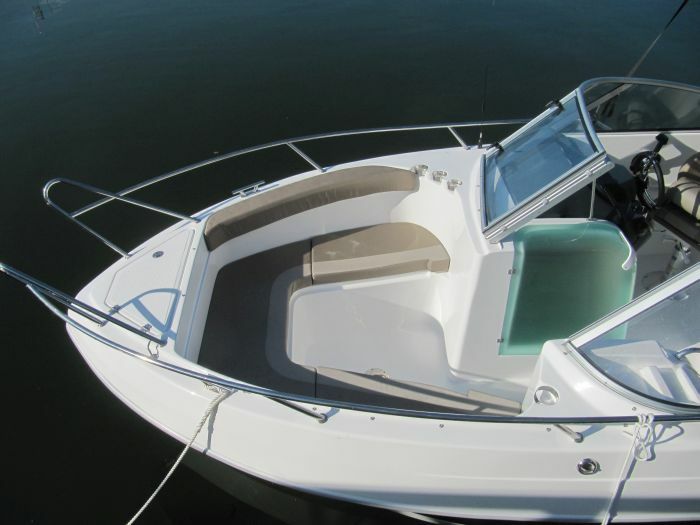 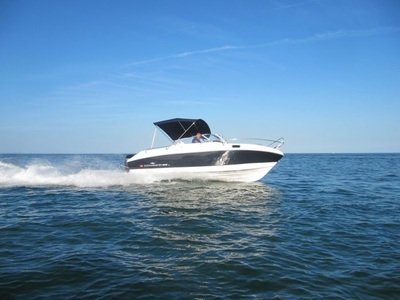 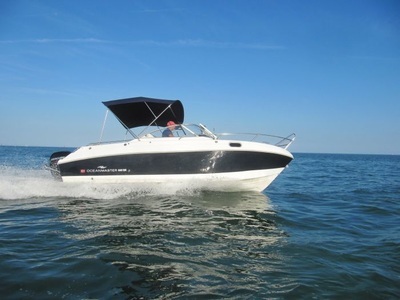 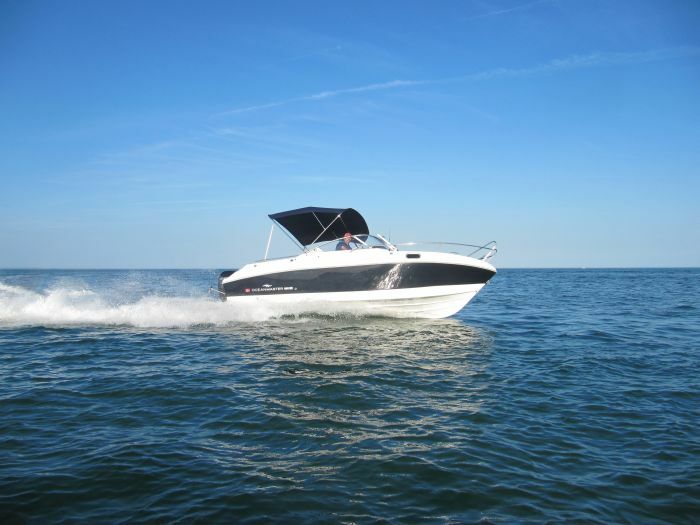 A superior boat in both build quality, safety and comfort. 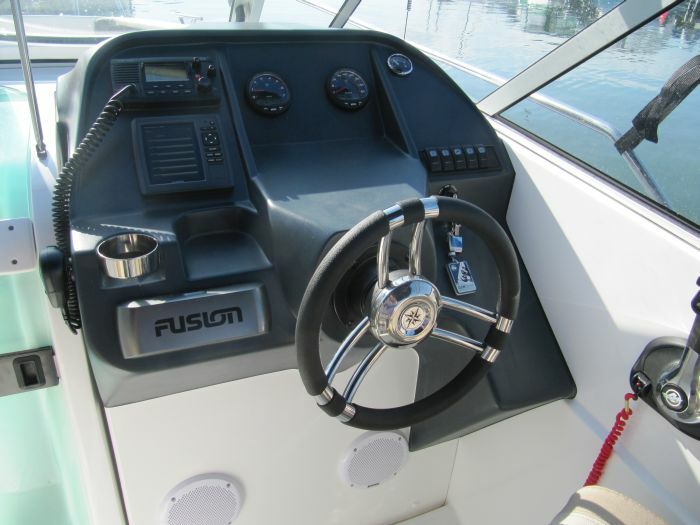 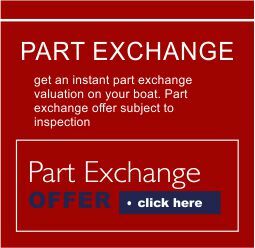 Balance of boat and engine warranty.